The Legacy of Lynching: Art and Practice brings together scholars, artists, activists, and curators for a conversation on the history of lynching, antiracist activism past and present, and the role of contemporary art in visualizing and confronting racial violence. Drawing on the Equal Justice Initiative’s long-term effort to research, document, and memorialize victims of lynching, this symposium is hosted in conjunction with Haverford’s Cantor-Fitzgerald Gallery and the first traveling iteration of EJI’s exhibit “The Legacy of Lynching: Confronting Racial Terror in America,” on display from October 26, to December 16, 2018. Panels will focus on the deep and reverberating history of lynching; the centrality of black feminist practice in anti-lynching activism; the role of visual storytelling in confronting past and present forms of racial violence; art-making in the age of mass incarceration; and, broadly, the relationship between contemporary art and social justice activism. Sponsored by the John B. Hurford ’60 Center for the Arts and Humanities , the Distinguished Visitors Program, the Interdisciplinary Minor in Visual Studies , the Center for Peace and Global Citizenship, t he Interdisciplinary Concentration in Peace, Justice, and Human Rights, and the Department of English. All events will take place in VCAM 201 unless otherwise noted. Join us for a closing reception at the Cantor Fitzgerald Gallery in the Whitehead Campus Center. 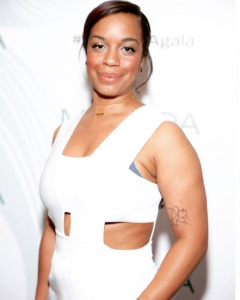 Courtney R. Baker is co-founder and chair of Black Studies at Occidental College where she also serves as Associate Professor of American Studies. She earned her B.A. in Women’s Studies from Harvard University and her Ph.D. in Literature from Duke University. Her book, Humane Insight: Looking at Images of African American Suffering and Death, was published in the New Black Studies series by the University of Illinois Press in 2015 (a paperback edition was published in 2017). Her research focuses on blackness and the visual representation of humanity. Her articles have been published in the Journal of American Culture and Parallax and in the online journals ASAP/J, Avidly, Huffington Post: Black Voices, and New Black MAN. Her chapter on African American visual culture in the 1970s will appear in the volume Black Cultural Production after Civil Rights , edited by Robert Patterson, to be published in 2019 by University of Illinois Press. 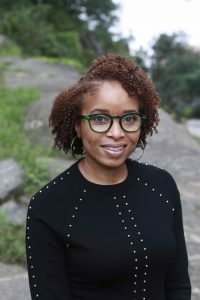 Her current manuscript project, entitled “ Tyranny of Realism: Twenty-First Century Blackness and the Ends of Cinema,” examines formalist techniques in recent American and British Black films in order to re-center film art as a site of Black politics and expression. 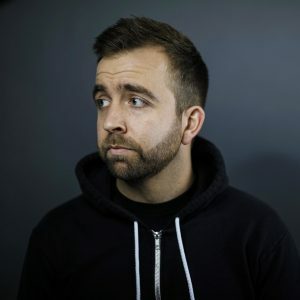 Josh Begley is a data artist, app developer, and filmmaker based in Brooklyn, New York. He is the creator of Metadata+, an iPhone app that tracks United States drone strikes. Begley is the director of two short films, Concussion Protocol (2018) and Best of Luck with the Wall (2016), both produced by Academy Award-winning director Laura Poitras. His films have screened at the Whitney Museum of American Art, The Met Breuer, the New York Film Festival, and the Museum of Modern Art (MoMA). Her work has been exhibited at MoMA PS1, We Buy Gold, Koenig & Clinton Gallery, The Nathan Cummings Foundation, Atlanta Contemporary, Pomona College Museum of Art, Spencer Museum of Art, and Usdan Gallery at Bennington College. She is the recipient of the 2018 International Center of Photography Infinity Award in the applied category. She is also a 2018 Soros Equality Fellow. 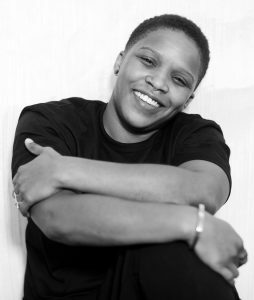 Shirah Dedman is a filmmaker, lawyer, and activist. From dropping out of high school at 15-years-old to becoming a licensed attorney by 23, she subsequently found herself constantly un- and under-employed. Still, she managed to build a film career that included positions at William Morris Agency, DirecTV, and Paramount Pictures. So after her last layoff, she decided to relentlessly pursue her true passion: creating content reflecting the intersection between economics, race and the environment. Nicole R. Fleetwood is a writer, curator, and professor of American Studies at Rutgers University, New Brunswick. Her books are Marking Time: Art in the Era of Mass Incarceration (forthcoming), On Racial Icons: Blackness and the Public Imagination (2015), and Troubling Vision: Performance, Visuality, and Blackness (2011). She is co-editor of Aperture magazine’s “Prison Nation,” a special issue focusing on photography’s role in documenting mass incarceration. Fleetwood has co/curated exhibitions on art and mass incarceration at the Andrew Freedman Home, Aperture, Cleveland Public Library, Zimmerli Museum, and the Urban Justice Center. 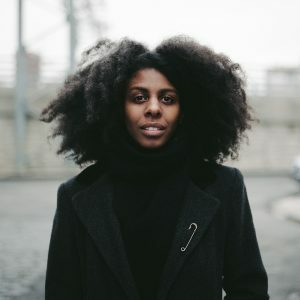 Her work has been supported by fellowships from the NYPL’s Cullman Center for Scholars and Writers, American Council for Learned Societies, Whiting Foundation, Schomburg Center for Scholars-in-Residence, Andrew W Mellon Foundation, and the NEH. Christina Knight is Assistant Professor of Visual Studies at Haverford College as well as the Director of the Visual Studies Program. 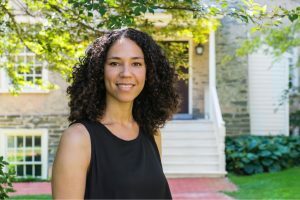 Before joining the Haverford faculty, she was a Consortium for Faculty Diversity Postdoctoral Fellow at Bowdoin College as well as a Ford Foundation Diversity Fellow. 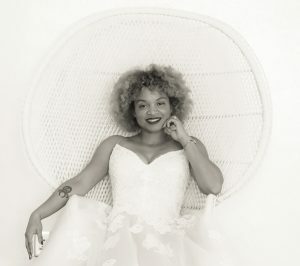 Knight’s work examines the connection between embodied practices and identity, the relationship between race and the visual field, and the queer imaginary. Her current book project focuses on representations of the Middle Passage in contemporary American visual art and performance. 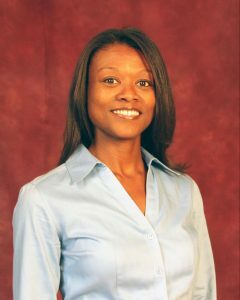 Koritha Mitchell is a literary historian, cultural critic, and associate professor of English at Ohio State University. She specializes in African American literature, racial violence in U.S. history and contemporary culture, and black drama & performance. She examines how texts, both written and performed, have helped terrorized families and communities survive and thrive. Her 2011 study Living with Lynching: African American Lynching Plays, Performance, and Citizenship, 1890 – 1930 won book awards from the American Theatre & Drama Society and from the Society for the Study of American Women Writers. Mitchell’s scholarly articles include “James Baldwin, Performance Theorist, Sings the Blues for Mister Charlie” (American Quarterly) and “Love in Action,” which draws parallels between racial violence at the last turn of the century and anti-LGBT violence today (Callaloo). She is editor of the Broadview Edition of Frances Harper’s 1892 novel Iola Leroy, and she recently completed her second monograph, “From Slave Cabins to the White House: Homemade Citizenship in African American Culture.” Mitchell’s research has been supported by fellowships from the Ford Foundation, the American Association of University Woman (AAUW), and the Notre Dame Institute for Advanced Study. On Twitter, she’s @ProfKori. 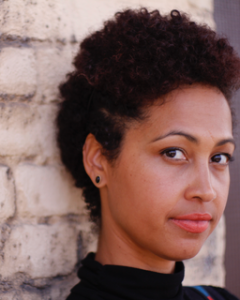 Kalia Brooks Nelson, PhD, is a New York based independent curator and educator. Brooks Nelson is currently an Adjunct Professor in the Department of Photography and Imaging at New York University’s Tisch School of the Arts. Brooks Nelson holds a Ph.D. in Aesthetics and Art Theory from the Institute for Doctoral Studies in the Visual Arts. She received her M.A. in Curatorial Practice from the California College of the Arts in 2006, and was a Helena Rubinstein Fellow in Critical Studies at the Whitney Independent Study Program 2007/2008. She has served as a consulting curator with the City of New York through the Department of Cultural Affairs and Gracie Mansion Conservancy. Brooks Nelson is also currently an ex-officio trustee on the Board of the Museum of the City of New York. 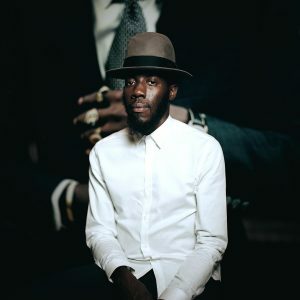 Bee Walker is a photographer, writer, and creative director based in New York City. Born in 1983 in Kenya, she traveled extensively throughout the world before settling in the United States. Her photographs have been published in the Washington Post, New York Magazine’s The Cut, Rookie Mag, and Woven Magazine. Her creative collaborations include work with The New York Times, HBO, Refinery29, and Google as well as various individuals and artists. She is committed to mentoring emerging creatives and photographers through studio visits and speaking engagements. Rog Walker is a photographer based in New York City. His primary work is a blend of documentary and editorial style portraiture that seeks to tell compelling stories while exploring various socio-cultural themes. 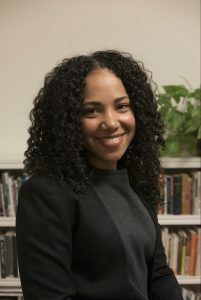 Autumn Womack is an assistant professor of English and African American Studies at Princeton University, where she specializes in nineteenth-and early twentieth-century African American literature and visual culture. Her essays and reviews have appeared in Black Camera: An International Film Journal, Women and Performance, J19: A Journal of 19th Century Americanists, Criticism, American Literary History, and the Paris Review of Books. She is currently completing her monograph, Un-disciplining Data: Race, Visuality, and Black Literary Aesthetics, 1880-1930, which explores the intersecting worlds of emergent visual technologies and black literary aesthetics. 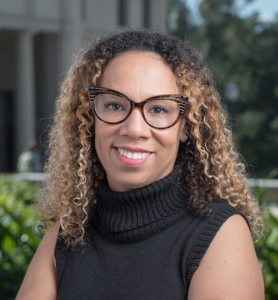 Assistant Professor of English, Lindsay Reckson teaches and writes at the intersection of American and African-American literature, visual culture, religion, and performance studies. 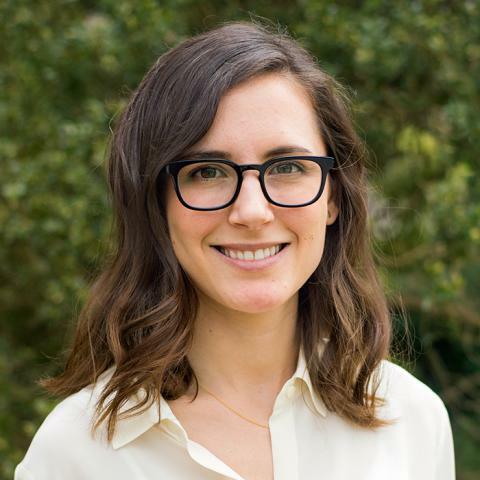 Before coming to Haverford, Lindsay was a Presidential Excellence Postdoctoral Fellow at the University of Texas at Austin. She received her Ph.D. in English from Princeton University and her B.A. in English and Creative Writing from New York University.